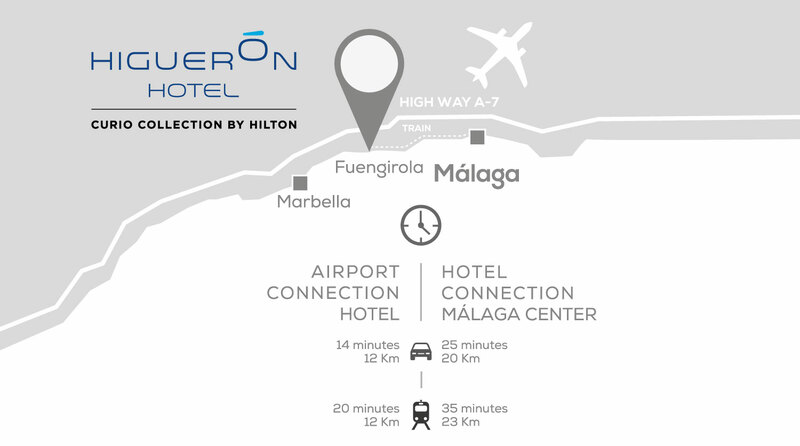 Higuerón Hotel Curio Collection By Hilton Resort & Spa Reserva del Higueron is dominating the bay of Fuengirola, with stunning panoramic views over the Mediterranean sea and the mountain. This Resort is located at 200 metres above the sea level. Just 10 minutes away from the International Airport of Malaga and 20 minutes from Marbella.